What happened to musical modernism? When did it end? Did it end? 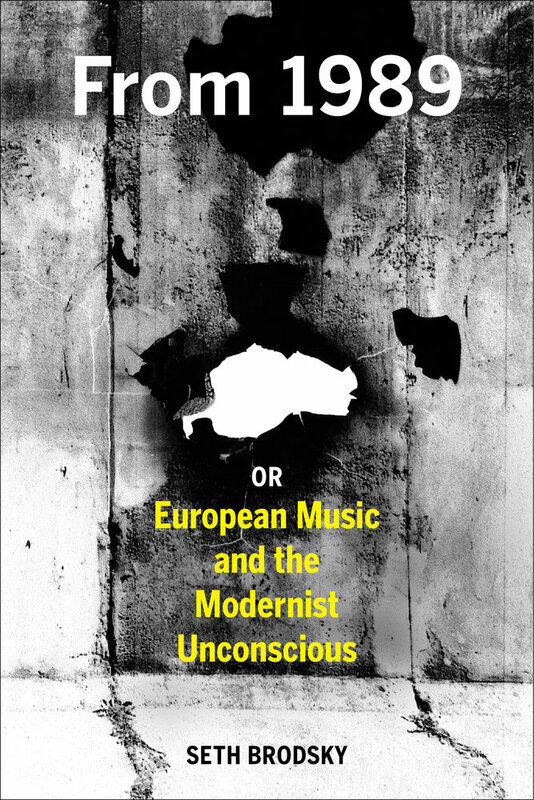 In this unorthodox Lacanian account of European New Music, Seth Brodsky focuses on the unlikely year 1989, when New Music hardly takes center stage. Instead one finds Rostropovich playing Bach at Checkpoint Charlie; or Bernstein changing “Joy” to “Freedom” in Beethoven’s Ninth; or David Hasselhoff lip-synching “Looking for Freedom” to thousands on New Year’s Eve. But if such spectacles claim to master their historical moment, New Music unconsciously takes the role of analyst. In so doing, it restages earlier scenes of modernism. As world politics witnesses a turning away from the possibility of revolution, musical modernism revolves in place, performing century-old tasks of losing, failing, and beginning again, in preparation for a revolution to come. Seth Brodsky is Associate Professor of Music and the Humanities at the University of Chicago.